It’s #OCDweek! All week, we’ll be featuring daily posts from our guest bloggers about issues surrounding OCD. Today’s post is from Alison Dotson about the use of the term OCD on social media. Join the conversation in the comments below, or on Twitter using the hashtag #OCDweek. A mental health organization did in fact tell Paperchase, a stationery and office supply store in the United Kingdom, that the product they were selling was offensive because it mocks a very serious and debilitating disorder. But so did plenty of regular people with OCD. They took to Twitter to let Paperchase and other stores know how they felt about this product. People were offended by her being offended. One person called her a politically correct fascist. People told her she couldn’t take a joke and that she was being too sensitive. And I don’t say anything. I admit it: As outspoken as I can be on some issues, OCD makes me feel vulnerable. As strong as I can be about it, I don’t like being attacked for standing up for something so important and so personal. Turn the term on its head. Use it to let people know that while they may not mean to cause harm or offense, what they’re saying is hurtful. We can use the #OCDproblems hashtag to talk about real OCD problems and fill the Twitter feed with valuable information. A few months ago, BuzzFeed, which is notorious for using “OCD” in the wrong context, posted a sponsored article about cars. 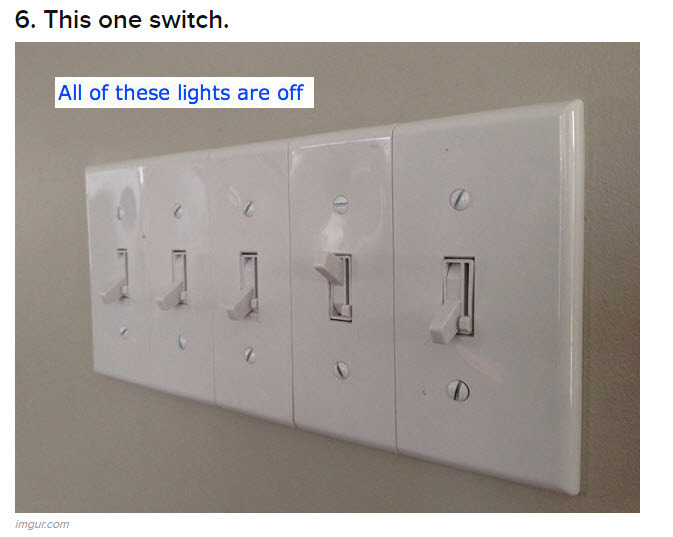 It was titled “15 Ways You’re OCD About Your Car.” Oh, boy. My OCD Twin Cities partner Jackie Lea Sommers noticed the faux pas and wrote a perfectly appropriate and polite response in the comments section, pointing out that OCD is actually a serious disorder and that the term shouldn’t be used as an adjective like that. She gave them the benefit of the doubt and acknowledged that they may not have known how far off they were when they chose the title but that they probably didn’t want to risk alienating potential customers with it. Right away another commenter pounced on her, saying “Calm down, lady.” I couldn’t let that go. I intervened, saying Jackie was right and that “OCD” was not the correct term, explaining that the “D” stands for disorder and that disorder is actually really serious. Well, that didn’t help. And honest to goodness, I was polite. Another commenter altogether responded to me, calling me the “B” word and further chastising Jackie for her comment. This is the type of thing that keeps me from pushing back in comments sections. And maybe I’m going about it all wrong. There was a time, not that long ago, that if a reader disagreed with something printed in the newspaper, he or she wrote a letter to the editor, and that letter might have been deemed good enough and appropriate enough to be printed. Maybe it’s better to go straight to the source, every time, and not give the comments section a second glance. I should start writing letters to manufacturers and marketing departments, not sharing my opinion for other readers. Not long ago they would have given this a title like “45 Photos That Will Make You So OCD,” I just know it. I really do believe people consistently speaking up has made a difference. What do you think? Do you ever comment when you see offensive product names or article titles? Have you ever written a letter to someone who could make a difference? Today is the first day of OCD Awareness Week, an opportunity for all of us to help dispel myths about OCD. Consider tweeting or sharing your experiences about your OCD — the more we can talk about it, the more we can help people understand the reality. And maybe eventually they’ll stop trivializing our experiences. Use the hashtag #OCDweek and join the conversation. Oh this is an issue near and dear to my heart! And yes, I have spoken up more than once, and yikes, people can be unbelievably cruel. I speak up now because I’m healthy enough to do so. For many, many years the OCD was a closely guarded secret. So I speak up now for those who can’t. I was able to make a change once. I came across a website that was advertising something for the “OCD in you” or some other such nonsense. I contacted them (nicely!) and they wrote back apologizing and saying that they would change it. success! But overall, change is slow and we need to be consistent and persistent and patient. My issue is that I get so wrapped up and passionate in online debates! I let myself get too involved and I get upset–and when it’s this personal…oh man. I’m afraid I’ll just start calling the person names! Thanks for sharing your story of success. That’s so great to hear! Wonderful article!!! I’ve been posting things on FB this week about OCD trying to educate people. Hopefully it will help! Thank you, Danielle! That’s great that you’ve been posting. I think posting accurate information always helps, even if just a little and one person at a time. While I am not OCD, my 8yr old daughter is. She was diagnosed at age 4. She sees all the making fun of OCD that is done in movies for her age group as well as tv shows, media and social media. While she understands that they are “making fun” of what they assume to be the only stereotypical aspects of OCD, she says it hurts her feelings. She is candid (as are we) and outspoken about having OCD. We do everything we can to remove the stigmas that can be attached to mental illness. She wears her OCD with pride. But, as with most things, stereotypes hurt. They hurt those who have a voice and the especially hurt those without a voice. OCD robs of so much, and to those who perpetuate the stereotypes, I hope they do not have to walk a day in the life of those with OCD. I see how much my daughter fights to keep it from taking over, from robbing her of the joy and goofiness she brings to this world, the forever self doubts, to mock that and simplify it down to “organizational habits,” “hand washing,” or “light fixtures” robs those with OCD of their voices, their truths, their struggles and their triumphs. Ugh, kids can be the worst offenders! They just don’t get it yet. Of course, many adults don’t, either. It’s wonderful that you’re all so open as a family. Maybe fighting these stereotypes will make your daughter even spunkier! What I’ve found to be so helpful is connecting with others who have OCD, or who understand it because they have a family member who suffers or they treat it. I hope your daughter can meet some other kids with OCD–have you considered going to the conference? Next summer it’s in Boston. I have spoken about this for 25+ years in an attempt to first educate and, lately, merely correct people as to what OCD really is. I could care less for those who call me a fascist politically correct whatever. How will people understand how hurtful it is unless we who have it tell them? We have to be the ones to promote education and awareness (unfortunately because the constant changes in the national organization have meant an unwillingness for them to do the necessary public awareness campaign). Call me whatever you please, but I’m not stopping and I’m not tolerating anymore. Whether it’s a cosmetics company with the OCD name or a cleaning company, no way I will just let it slide. If people challenge us when we speak up, I always find it useful to use a physical illness as a substitute. Would you tolerate a cleaning company being name The Cancer Clean Up Crew? Of course not–it’s rude, demeaning and insensitive. So why would we expect any less when it comes to a seriously debilitating mental illness? When I put it like that, I usually get a better response than if I just register a complaint. Then people realize it’s about the illness, not just the wording. That’s so true–saying, “I’m so brain cancer!” would never happen! (Not to mention it doesn’t make sense, but neither does “I’m so OCD.”) As I was searching for the tweets I shared above, I ran across one in which a young woman compared OCD to autism or cancer and said no one thinks it’s right to make fun of those conditions, and the man she was in a debate with said she lost all credibility and the basis for her argument when she did that. I wish I could find it again and ask him why he doesn’t think that was a valid comparison–I’m sure it’s because he thinks OCD is just a set of quirks. There’s still so much to be done, but when we team up we can move mountains. Generally speaking, the world is full of sensitive caring people who want to say and do what is right. It could be that those making comments such as those you mention have OCD tendencies and are poking fun of it to minimize the affect OCD plays on him or her. I have OCD. As an adult in her fifties, I’ve been able to recognize it and control it. Perhaps through OCD awareness week and as we continue to educate people about the severities of OCD and how debilitating it can be hopefully people will become sensitive and be respectful of others who struggle with it everyday. There will always be those who make comments that are offensive. Don’t let that steal your joy! Be Positive and Upbeat and set a good example. Thank you so much! I try not to get bitter about this type of thing. Sometimes I feel so upset by the constant misconceptions that I get physically shaky. But I have to remind myself that the majority of people who say the “wrong” thing just don’t know what they’re doing. They’re not trying to be mean. And if I can maintain my composure and simply educate, perhaps I can change a few minds! Alison, this is such an important topic and as someone who has worked in the medical field as a physical therapist for over 25 years I am constantly appalled at the lack of knowledge about what is called ‘people first language’. This is a common theme in the world of people with physical and medical disabilities and the idea of putting the person first and not the disability is just common sense language which shows respect and identifies the person, not the disability. We don’t say an autistic child… we say a child with autism. We don’t say an amputee… we say my grandfather, who is an amputee. Having been only immersed in the mental health world the past 4 years, I have been both appalled and downright embarrassed when I have heard someone use mental health diagnosis’ as an adjective. I will tell you that this happens in the medical profession as well and I have experienced this insensitivity with my colleagues. People who should know better. Paying attention to the details of language and how we use words is important. Recognizing that OCD is a brain disorder and not an adjective to be added for effect or a descriptor to grab attention is crucial. Speaking up is uncomfortable, but change will not happen if we all stay comfortable. Most people, I find, are willing to open their hearts and minds to the conversation and will try to look at things in a different way then they are used to and education themselves. For those who are not willing to understand… well, we keep trying! Thanks for blogging about this! Thanks, you have so eloquently put into words my thoughts. Absolutely–I’ve actually been very pleasantly surprised by the very compassionate responses I’ve gotten from people when I tell them I have OCD. I fear getting into a one-on-one confrontation because I don’t want to lose my cool, and when my feelings are hurt or someone refuses to learn more, I can get too passionate! It’s something I’m constantly working on. Thank you so much for being so sensitive and for being an example for your colleagues. I, too, have heard mental health professionals say ignorant things, and it’s downright scary. As both an OCD sufferer, and a therapist specializing in treating this oftentimes crippling disorder, all I can say is Amen! I try to gently point out that “I’m so OCD about such and such….” is just ignorant! I’ll say something like, “I’m sure you didn’t realize that OCD is a serious disorder affecting one in forty people. It’s an anxiety disorder and those that have it live in torment at times.” I also use the comparison to cancer or some other serious illness to try and make the point that it’s not cute, quirky or something to laugh about. In fact my latest Facebook post for my counseling practice was on this topic. Many folks replied that it was great to have someone “get it”, and gave examples of friends or family casually misusing the term. Jeff Bell has also written a great article about this. The stereotypes that we see from Monk or other shows and media sources tend to always focus on hand washing or rechecking. Certainly, those can be symptoms, but I tend to see highly functioning people who secretly fear that they are or will become child molesters or are some sort of deep down “evil” person ready to snap, because they have “bad thoughts” that no matter what they have tried, cannot push away and ignore any longer. These are great people who are absolutely desperate. I frequently say that only the finest people have OCD. It tends to affect those that are tenderhearted, responsible, and moral, and who strive to make the world a better place. and love it. Little by little, we can educate the general public. Cheers for OCD awareness week. Thank you, Carol! Jackie is wonderful, isn’t she? And I agree–I think some of the best, most compassionate people have OCD. I always think that if we didn’t already have strong morals and weren’t sensitive our “bad thoughts” wouldn’t bother us so much.